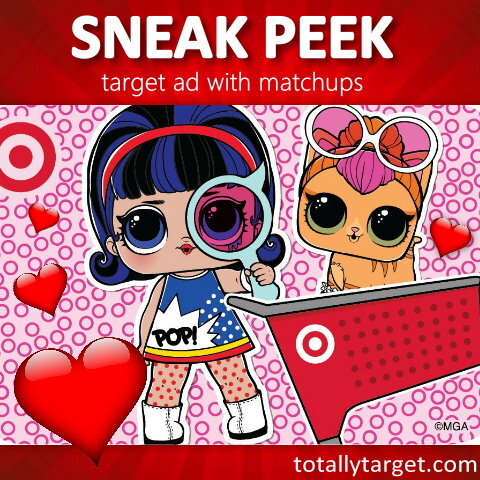 Here is the Target Ad for 2/10 – 2/16 with coupon matchups. (You can check out the ad scan and My Best Deals of the Week post on my weekly ad page HERE). I will add any more matchups to this post as I find them and if you can think of a mainstream coupon I’ve missed please let me know in the comments. Saturday, February 16th, Target is hosting an event for The Lego Movie 2 from 11am–2pm. Kids will play a game, and while supplies last – they can build a ship with a few bricks, and get a vest just like Emmet’s that they can keep. You can go HERE for more deets on this event and find a participating store near you. here’s a few The LEGO Movie 2 items featured in this week’s ad….